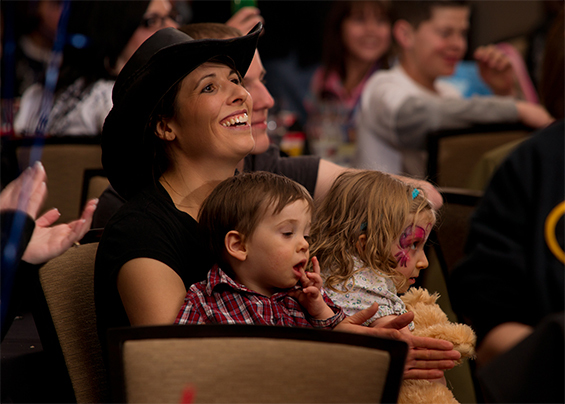 The Wolf Creek foundation hosts events to raise funds that will support no-expense weekend retreats for deploying airmen and women, and their families. The Wolf Creek Foundation, the HAFB chaplain corps and several other base organizations host the retreats to strengthen family bonds, build shared memories and fortify relationships so they endure throughout deployment. "I believe very strongly in this program. I'm yelling and screaming at the top of my lungs to everyone I know 'You need to come up here and do this." 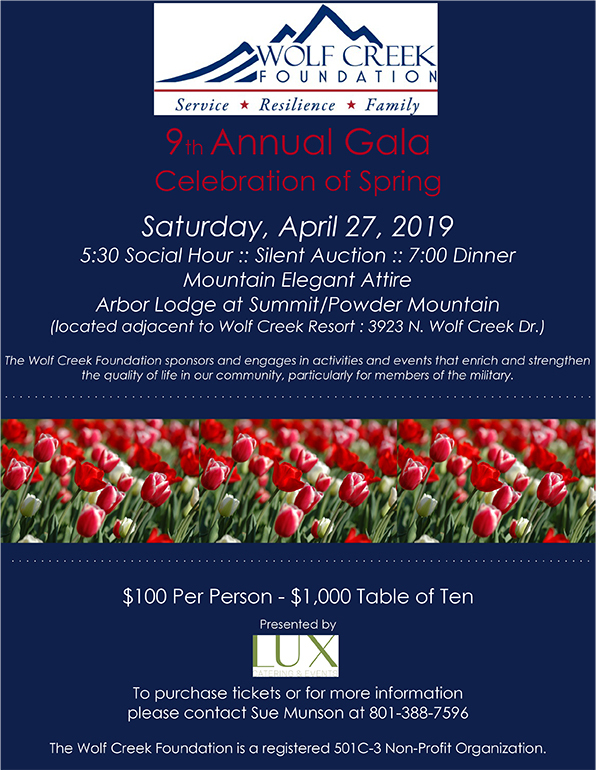 The Wolf Creek Foundation sponsors and engages in activities and events that enrich and strengthen the quality of life in our community,particularly for members of the military. "LUX Catering & Events is more than a full service catering company. We are Utah’s Best of State 2017 catering company because we create relationships with our clients. We enjoy getting to know our clients – their dreams and their passions. We pride ourselves on making our clients’ dreams a reality by consistently partnering with them each step of the way. We closely monitor the latest trends in food, style, art and entertainment. We always make sure, no matter how big or small an event may be, to pay attention to detail."